Perhaps not the best of photos, but ones that marked a first for me. I am constantly reading about how this fish preys on that fish and that fish preys on this creature, but the only feeding I’d seen is various fish grazing on algae on the coral. 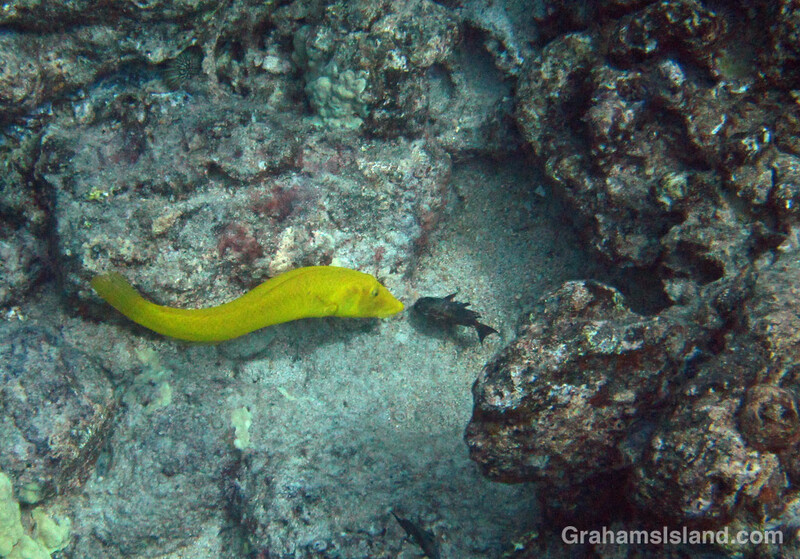 On this day, however, I noticed, a good way below me, this female cigar wrasse with a small fish in her mouth. In the photo above the poor creature has just been dropped in front of her momentarily. In the photo to the left, the fish is firmly held in the cigar wrasse’s jaws. 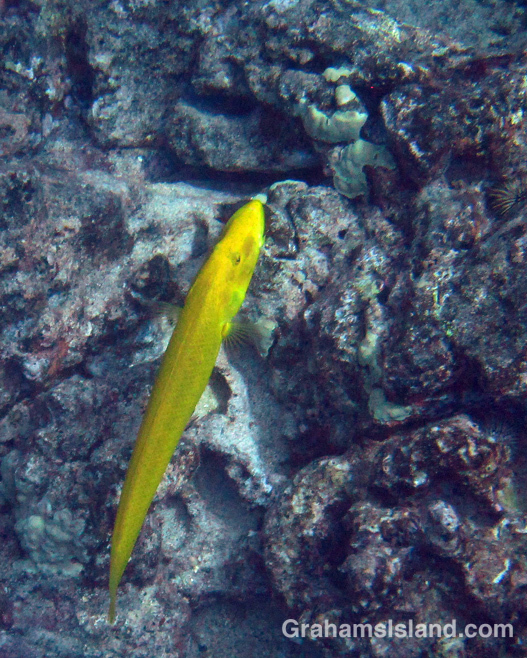 The prey looked like some kind of small damselfish, which is interesting because John Hoover notes that cigar wrasse “feed on a variety of invertebrates.” Also of interest is that I mostly see cigar wrasse swimming amongst shoals of yellow or convict tang. Perhaps I should give them the heads up about the danger in their midst.